If you have something to sell or place on consignment email us at lexantiques@gmail.com Be sure to include a description of what you’d like to sell, the price you are asking, where it is located, and your contact information. 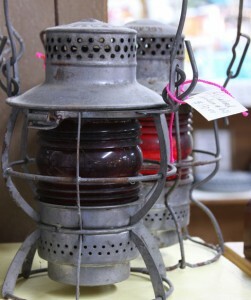 We typically buy and consign items from the 1970’s or earlier on Mondays from 10:00 AM to 4:00 PM. It may be possible to bring items in on Friday’s from 11:00 AM to 4:00 PM or on Sunday’s from 1:00 PM to 5:00 PM but you must call first to see if Geralyn or Betty are in the store during those times. Please understand that many of us have full time jobs outside of the store and may not be in the store at various times. It would be a good idea to call ahead and see who is in the store on that specific day. We may accept some items that do not work if they have good decorative appeal, for example an antique stove that can be used as yard art. - Furniture, Bookcases and shelving. - Linens. (Aprons, tableclothes, full sets of napkins, curtains. - Local vintage high school and university items. - Hard Rock Maple furniture. - Cassettes & 8 track tapes. - New items that look old. We consign items that would retail for $50.00 or more. The consignor receives 60% of the selling price We consign for 90 days at the original agreed upon price. After the 90 days (3 months) we discount the items by 10% per month (month 4 10% off, month 5 20% off & month 6 30% off) If your items do not sell within 6 months we will give you a call requesting you come and pick up your items. We will give you a 10 day grace period after the request for pickup. Any items left after 190 days will become the property of Feather your Nest to be sold or donated. Unfortunately we can not insure your items or be responsible for damage or theft. We will value your property as if it were our own and will take all reasonable measures to protect your treasures.